Welcome to Breathe with Ease. You don’t have to be suffering from asthma or a breathing condition to benefit from the age old wisdom you will find here. Breathing ineffectively is so closely linked with states of anxiety and stress which can be at the heart of many health conditions. 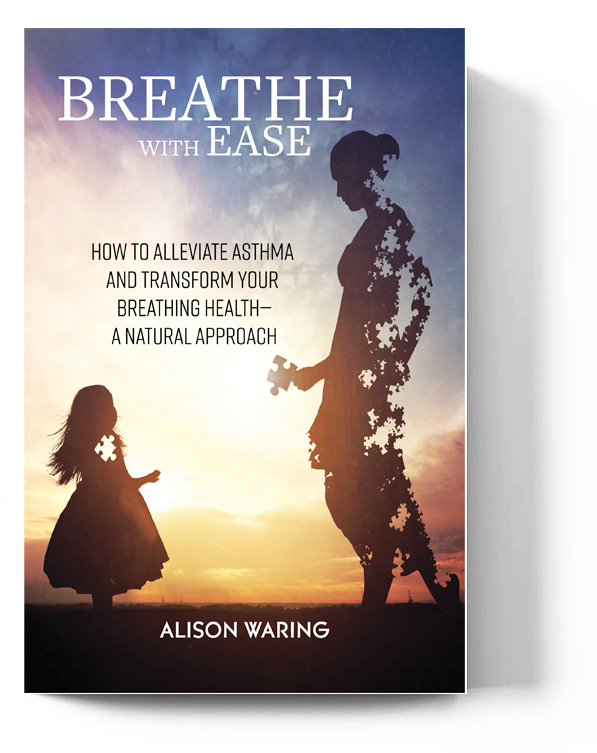 When you learn how to breathe effectively and live in a way to support improved breathing you can radically transform your life and your health. Breathing is a behaviour that is easy to retrain. Discover how to experience a deeper state of peace and inner Presence by learning how to Breathe with Ease. Thank you to all those who attended the Book Launch! York Natural Health 10am – 5pm for £55. Spaces are limited to 8 people. Receive a FREE VIDEO to help you assess and test your breathing health when you sign up. The Breathe with Ease book and online program look holistically at five aspects of your health. Each purchase of the book gives you access to a BONUS online video training. 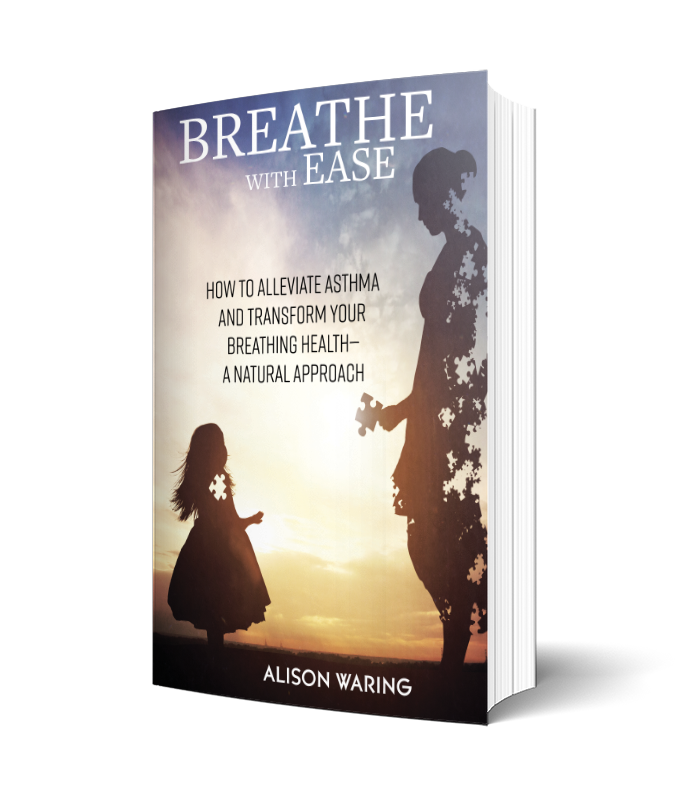 In Part One of the book, we look at The Body and how to breathe effectively and how you can reduce the stress response in your system along with some simple stretches to make your breathing more effective. In Part Two of the book, we focus on The Emotions and how your emotions affect your breathing and how your breathing can have a direct effect on your emotions. You will learn ways to use the breath to deal with strong emotions and work with your emotional body rather than against it. In Part Three of the book, we look at Nutrition. What you eat can have a direct effect on how well you breathe. Looking at foods that will support healthy breathing is key here and how to support yourself through healing crises without having to suppress your body’s natural attempts to heal. In Part Four of the book addresses The Mind. You will learn how to induce self-hypnosis and work with mindfulness exercises to enhance the level of relaxation you can experience which helps improve the effectiveness of the breathing exercises. Part Five focuses on retraining The Breath. Breathing is a behaviour and unlike other behaviours it is one of the easier ones to change. You will be guided through a four week program to retrain your breathing so that you can learn how to breathe with ease without it being a conscious effort. You will be shown you how to use Dynamic Breath Release to uncover and release old stored emotional tension in the body so that you can find a new freedom to rediscover health naturally and breathe with ease…. A lot of today’s stress-related symptoms can be deeply affected by the way we breathe. 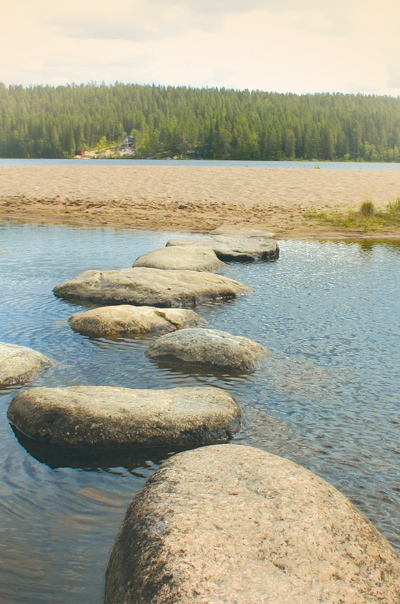 The stepping stones to mastery is an 8-week online programme that takes you through the steps to mastery in each chapter of the book with a narrated powerpoint video giving you a way of applying what you have read into your daily life. A 4-week (re)training program that enables you to retrain your breathing based on the Buteyko Method approach, including extra information about how to work with your emotions and the breath. This process can help alleviate asthma and anxiety. It includes six instructional videos and four guided meditation videos that will pace your breathing to the optimal rate whilst guiding you through daily exercises with music and a meditation.